Were you always told in school that 'practice makes perfect'? I know I was. In life I believe that you can always strive to do better in whatever you do, be it your job, your hobbies, your family, being a better friend. Things are never really 'perfect', but you can make them as good as you possibly can. Getting better requires practice, practice and more practice. It is really easy to lose sight of how far you have come, and how things have changed as a result of hard work, dedication, and the 'p' word, practice. In my crochet design work I am constantly working on new ideas, trying new yarns, making up samples, and thought it would be timely, with my blogging birthday last week, to see how my designs have developed and improved, and to see if I really have got better with practice. Top left = my first ever design! 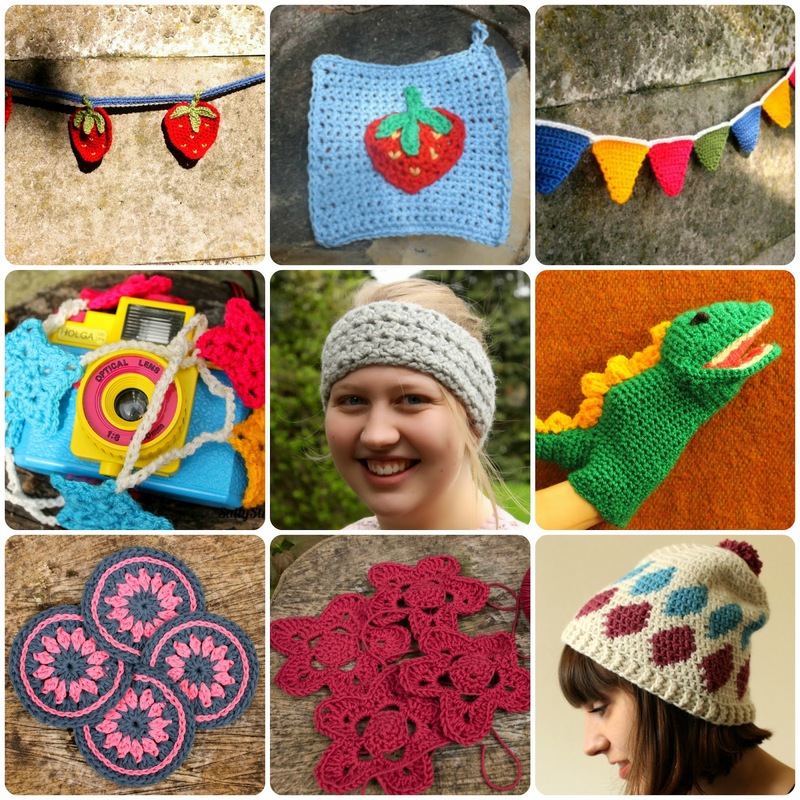 This crochet Strawberry Bunting was also my first pattern which can be found here. Thanks Iris. I'm not sure why I'm drawn to bright colours now- maybe it was because I was a goth for many years and am catching up on all the bright colours I missed out on when I wore nothing but black!